Do I need to wear a nightguard? Should I get a custom nightguard? Nightguards in San Clemente, Orange County. 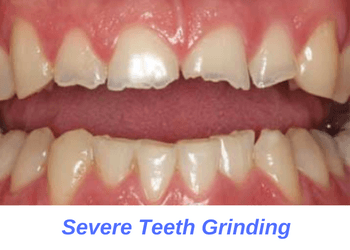 Unfortunately, many teeth grinders are unaware that they grind their teeth at nights. A nightguard is a dental prosthesis which sits on top of your teeth and protects them against the effects of nighttime grinding. 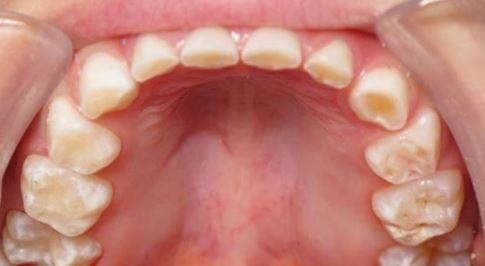 Nightguards can be made to fit either your upper or lower teeth. You must wear your nightguard every night for them to be effective. 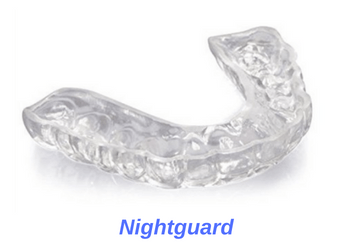 Nightguards are designed to tightly grip your teeth to stay in place. They will separate your upper and lower teeth during grinding. When wearing a nightguard, your bite forces transfer to your nightguard instead of teeth, thus protecting your natural teeth. Night time grinding is much more common than people think. Many of us grind our teeth, mostly as a result of daytime stress. This stress causes us to subconsciously grind our teeth while sleeping. 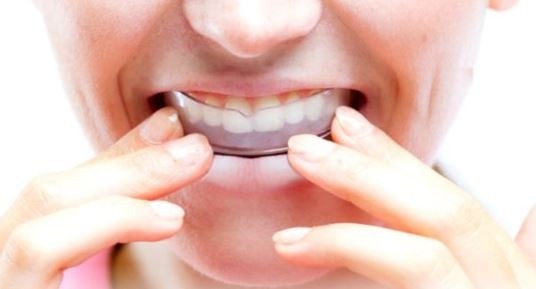 Wearing a nightguard helps protect your teeth and jaws against these unwanted stress. 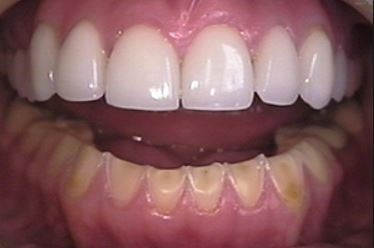 Unfortunately, many of us are unaware that we grind our teeth at nights. If you suspect that you are a nighttime grinder, talk to your dentist for further evaluation. Wearing a nightguard is the best way to protect your teeth against wear-and-tear damage of grinding. If you grind your teeth at night times, then you will most likely benefit from wearing a nightguard. Talk to your dentist to see if you are a night grinder and if he or she recommends a nightguard for you. Wearing a nightguard is the best way to protect your teeth against wear-and-tear damage of grinding. Nightguards protect your teeth from breaking and cracking. This can cause teeth to require fillings, root canals and crowns. Heavy teeth grinding can also damage your TMJ which leads to headaches and tension pains. Wearing a nightguard will protect your TMJ and could reduce these resulting tension headaches. Heavy tooth grinders should consider having their dentist fabricate them a custom nightguard. Over-the-counter nightguards are not as effective in protecting your teeth if you grind heavily. Your jaw forces will destroy over-the-counter nightguards in no time and render them ineffective. Heavy tooth grinders should consider having their dentist fabricate them a custom nightguard. Only a custom nightguard is strong enough to protect your teeth over the long term. wearing a nightguard will reduce the wear your crowns exert onto opposing natural teeth. If you have lots of existing dental implants, crowns and bridge work, you should wear a custom nightguard. Most dentists include a custom nightguard as part of your treatment when performing extensive dental rehabilitation. By wearing your nightguard regularly, you will protect these expensive dental work. Additionally, wearing a nightguard will reduce the wear your crowns exert onto opposing natural teeth. significantly reduce or even eliminate tension headaches and neck stiffness. Wearing a custom nightguard can also protect your TMJ joints. This can significantly reduce or even eliminate tension headaches and neck stiffness. Those who experience frequent headaches, one to three episodes per week, should look into nighttime teeth grinding. If your headaches are related to your nighttime teeth grinding, then a custom nightguard is a simple and effective solution to your problem. Damage from teeth grinding will cost you much more in the long run than a nightguard would. If you’re suffer from teeth grinding or need a new nightguard, then be sure to give us a call. You can reach us at (949) 481-2540 or book your consultation online today. Our dentist, Dr. Jazayeri, will examine you for symptoms of teeth grinding to determine if you are a nighttime grinder. If needed, we can fit you with a high quality nightguard that is both comfortable and effective. Don’t delay treatment any longer, damage from teeth grinding will cost you much more in the long run. Call us today to schedule your consultation and see if a nightguard is right for you.